The Business Benefits Group has always been a pioneer of improving the community and is now a proud participant of the GiveBack program. BBG is one of the first business insurance agencies to offer this program which allows for employees to allocate charitable donations directly from their pay to a charity they elect. The GiveBack platform makes corporate philanthropy easier than ever. The online financial technology solution allows for employees to allocate charitable donations to any 501-c3 charity of their choice. GiveBack can connect directly with a company’s CSR, eliminating the more complicated processes involved in traditional matching programs. GiveBack relies on a network of “personal foundations” in order to be successful. A personal foundation can be thought of as a kind of charitable savings account. Every employee account becomes part of the GiveBack Foundation. However, the GiveBack Foundation does not include the headache and additional expenses that one would usually expect from a personal foundation. A member (employee) is able to set aside their desired contributions via direct payroll deductions or by using direct deposits using credit cards or ACH transfers. This amount is then processed using an organization’s custom corporate matching program. 100% of the donations are given to the charity that the member decides to donate to. Individual charitable savings account given to every employee who participates. 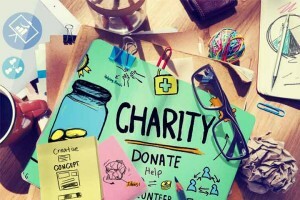 The option for employees to elect payroll deductions for charitable giving. The ability for companies to design corporate matching programs suited to fit their needs and abilities. Reward and incentive programs focused around charitable giving. Annual campaigns and emergency fundraiser functionalities. Custom, branded corporate interfaces which are managed and operated by Giveback. A range of rewards programs to encourage and enable more employee giving.